These very different Christian ideas about Genesis make it difficult to present a creation exposition that all Christians will endorse. We’re tempted to say, “God could do anything.” It’s true of course, but the better question is not what He could do, but what He did do as recorded in Scripture. God’s word puts constraints on how fanciful we should be about creation. With that in mind, here’s our take on the Gap Theory. A Christian friend of mine came to CreationXpo for the first time and said, “So how do we read Gen 1:1?” I replied, “In the beginning God created the heavens and the earth.” My friend pointed out how the sentence ends abruptly, and then the narrative begins again with Genesis 1:2. At first I was perplexed. but then realized he was introducing the gap theory which asserts there could be millions of years between Genesis 1:1 & Genesis 1:2. Why do som e people see a gap? The gap was proposed to help God accommodate the millions of years of geology. It was an attempt to fit those millions of years where they do the least harm to the Bible…after creation but before man. 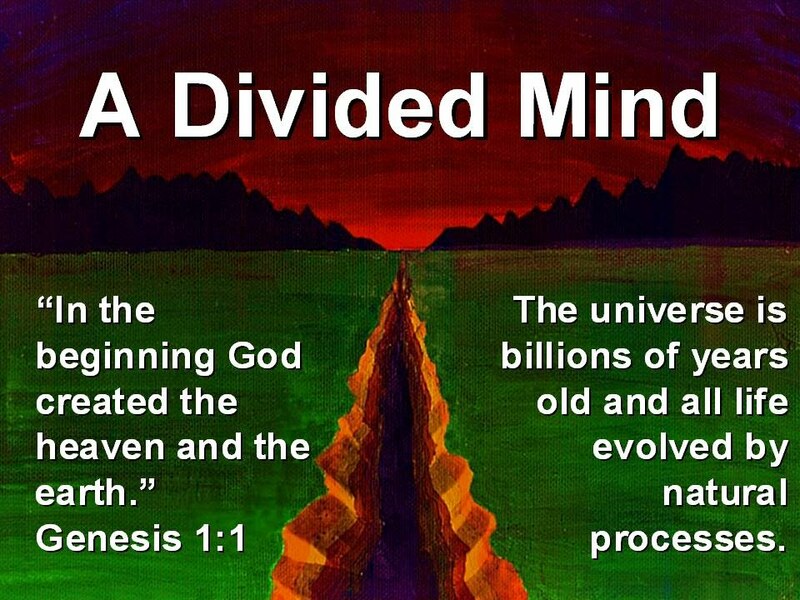 However, the gap doesn’t work with either Scripture or science. The gap doesn’t help the science. After verse one there is only empty space and earth; no sun, moon, stars, or life. A gap here doesn’t help the millions of years story of fossilized creatures and rock layers. The gap doesn’t help the Bible because reasonable people wonder why God would skip mentioning what happened during millions of years. The gap is justified by saying there is an obvious pause between the verses when really there is nothing more than a punctuation mark we call a period as there is at the end of any sentence. If periods imply gaps, then there are gaps everywhere. So there is no special reason to propose a significant gap in this one place. Exodus 20:11 provides the best Scriptural reason to forget the gap concept or any other millions of year interpretation. It reads, “For in six days the LORD made the heavens and the earth, the sea and all that is in them, and rested on the seventh day; therefore the LORD blessed the sabbath day and made it holy.“ No space for a gap here. So, whether we consider science or scripture, the solution proposed by the gap theory isn’t useful.